Red Velvet successfully kicked off its “Red Mare” world tour series in Thailand, drawing about 5,000 concertgoers. 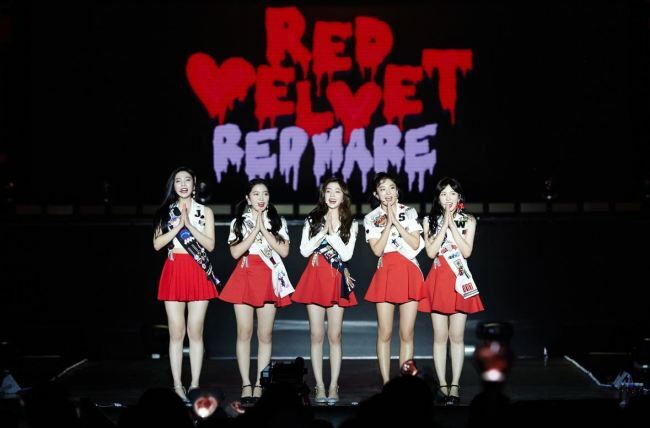 The sold-out concert titled “Red Velvet 2nd Concert [REDMARE] in BANGKOK,” which marked the act’s first performance in Thailand, was held on Saturday at Thunder Dome in Bangkok. The tour is an extension of the group’s solo concerts, titled “Red Mare,” held in Seoul from Aug. 4-5. After Bangkok, the tour will continue in Taipei and Singapore. Red Velvet swept domestic music charts with “Power Up,” off its new EP “Summer Magic,” upon the release of the album on Aug. 6.